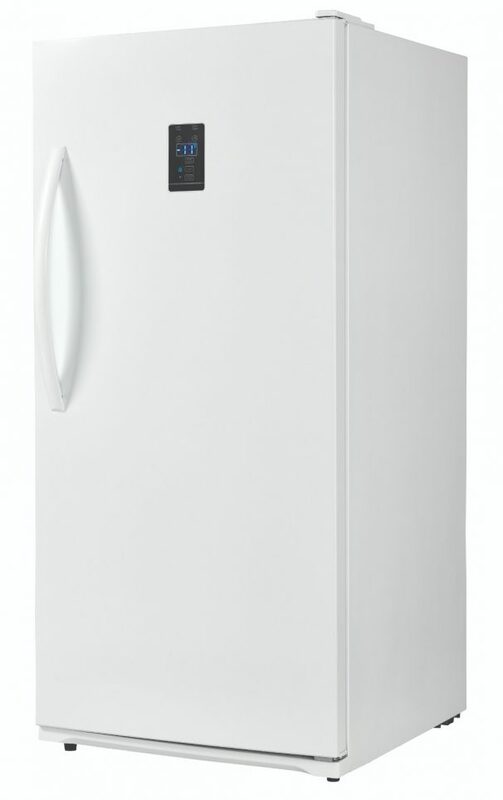 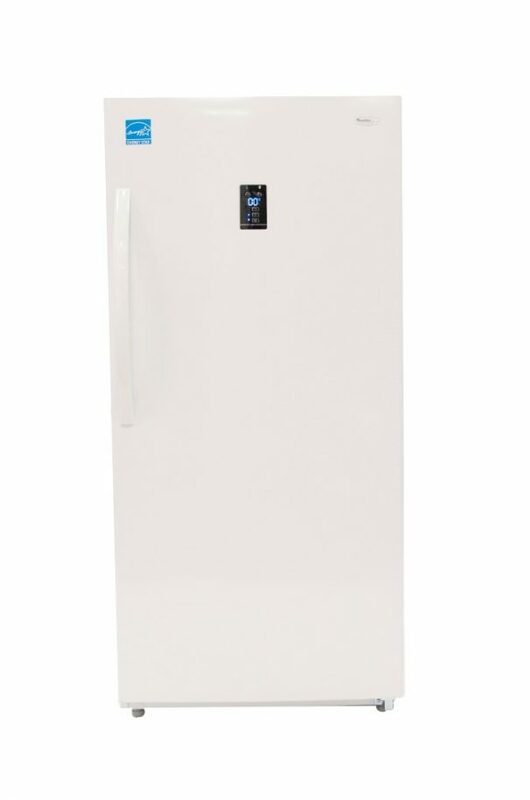 This Danby 14 cu.ft. 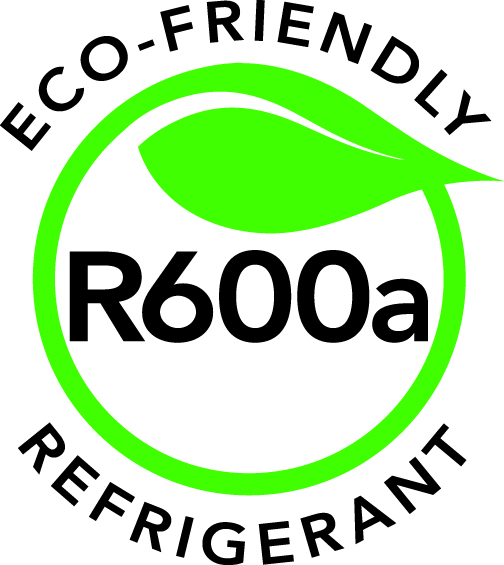 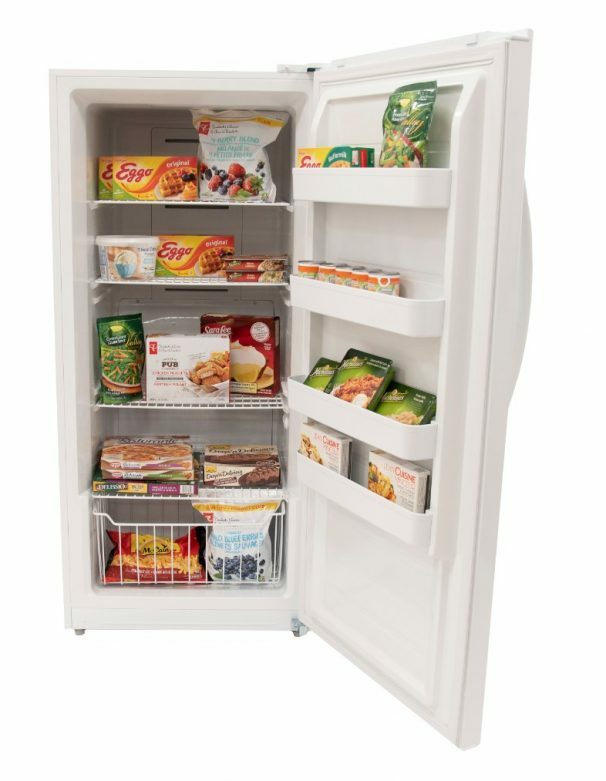 upright freezer provides ample cold storage for your whole family. 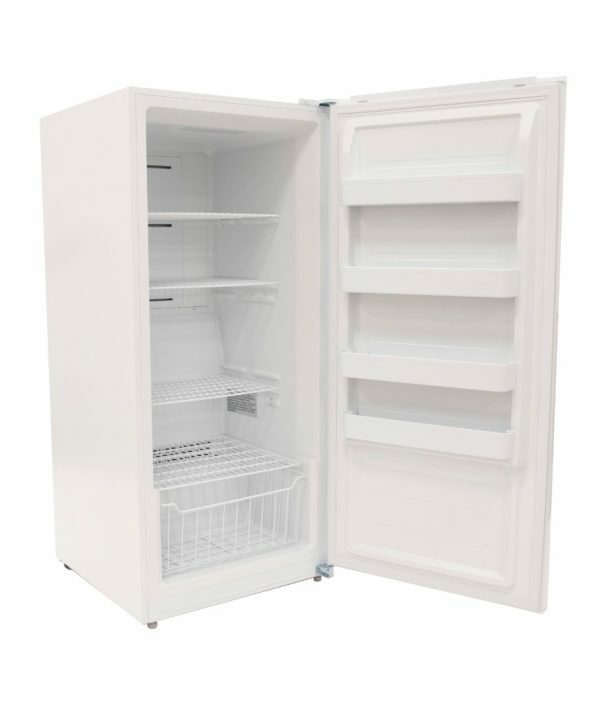 Its convenient frost free design prevents ice buildup on the interior for easy year-round maintenance. 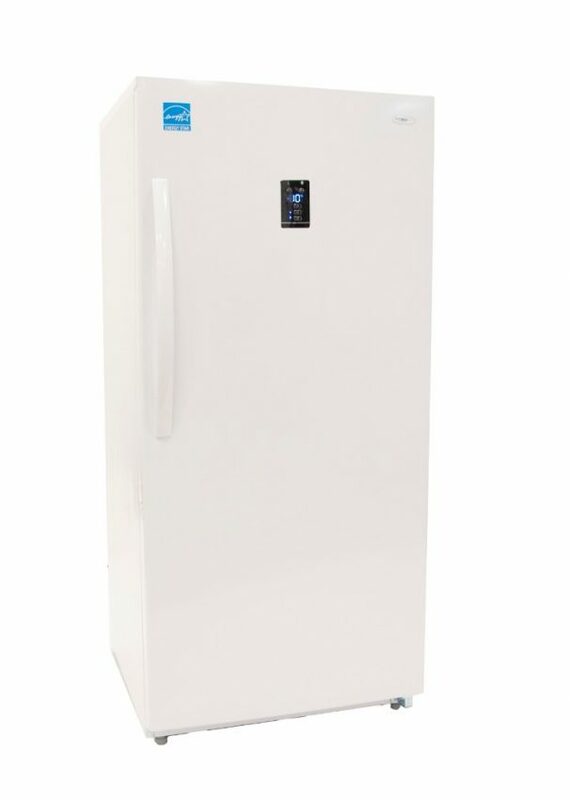 The multi-functional design allows this unit to operate as either a freezer or refrigerator. 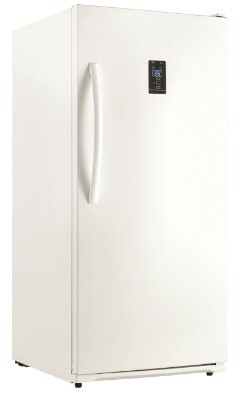 Adjusting setting is easy with the intuitive digital thermostat mounted on the door. 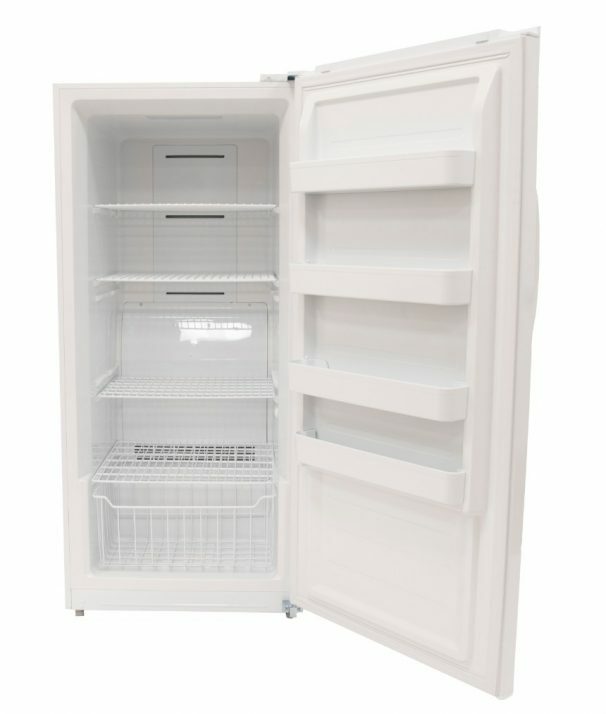 After filling the freezer with fresh goods, use the quick freeze function to bring the internal temperature down quickly. 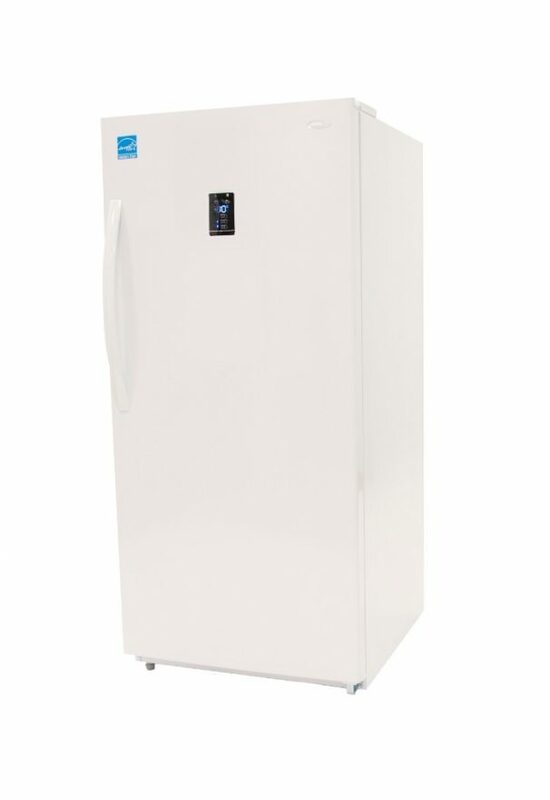 A door ajar alarm and high-temperature alarm help prevent food spoilage. 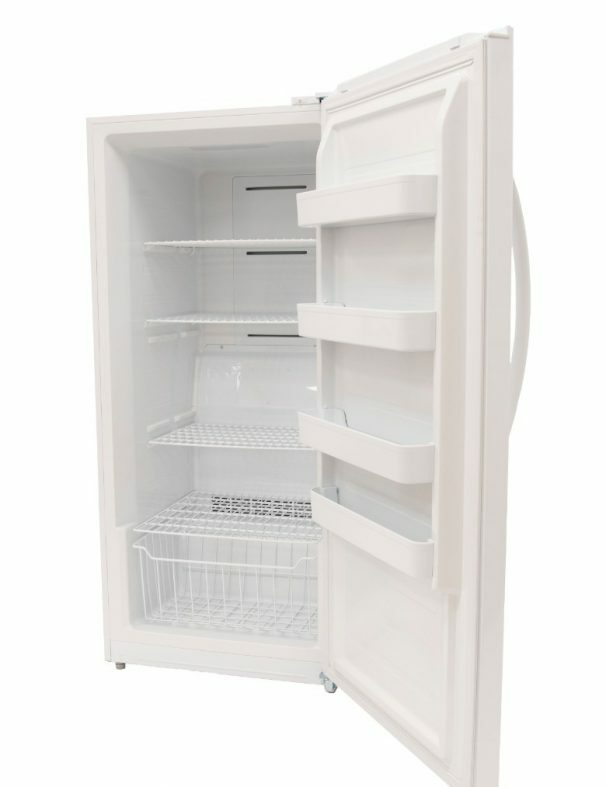 You’ll have no problem seeing all your freezer’s contents with the bright interior LED light in this dependable upright freezer by Danby.